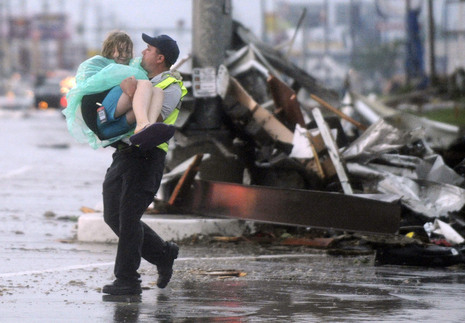 A massive tornado tore through Joplin, Missouri, killing at least 89 people and carving a mile-wide path of destruction through the city. St. John's Regional Medical Center, the main hospital in the region, was hit directly by the tornado; its roof was torn off and all of its windows were smashed. 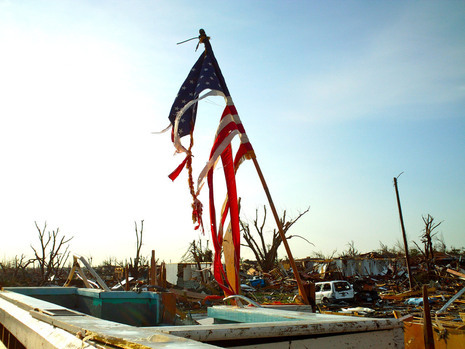 Missouri Governor Jay Nixon has declared a state of emergency, and FEMA is sending an emergency management team to Joplin. Weather officials said the twister that struck the city of 50,000 at dinner time Sunday was the deadliest single tornado in the United States since 1947 and the ninth-deadliest tornado of all time. Authorities on Monday put the casualty toll at 116 dead and some 400 people hurt, many suffering severe internal injuries. 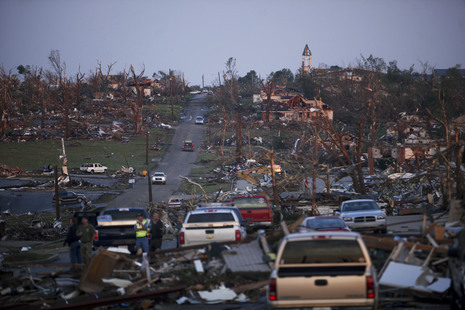 The scenes of utter devastation have been played out across the nation this spring as tornadoes rip across the landscape. The latest statistics for the tornado season show clearly that the death toll has been staggering and the number of twisters record-setting.